It’s engineered by the man behind BMW’s greatest M cars, so why wouldn’t it be? The snap crackle and pop of the exhaust is the first clue that the Hyundai i30 N Performance Pack may be the Korean hot hatch we’ve been waiting for all along. It may not be a big bruising moneymaking SUV that the masses want, but it’s exactly the sort of car that’ll force Ford and Volkswagen to work hard to keep the Focus ST and Golf GTI at the top of their game. And why shouldn’t Hyundai be involved in that? 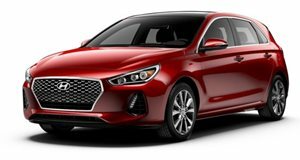 Hungry for sales, Hyundai needs more than big sellers. It needs the type of cars that attract people to its brand. As part of its bid to reinvent itself as a legitimate automaker that knows a thing or two about fun even when rear-wheel drive isn’t involved, the Korean automaker has stuffed it with a 2.0-liter turbocharged engine capable of pushing 275 horsepower to the front wheels. With an electronic differential and Nurburgring-tuned suspension, it has all the makings of a Golf GTI fighter because by the looks of things, Hyundai managed to throw fun and practicality into a single car. Evo has just gotten a go in the i30 N to see if it has what it takes to put Hyundai on the car nerd map, and the verdict is that the hot hatch incumbents should be worried. Not only will it undercut the Ford Focus ST, Renault Megane RS, and Volkswagen Golf GTI in the price department, but it has the performance to give them all hell on the track. Part of that has to do with the fact that Hyundai poached Albert Beirmann, the man responsible for tuning BMW’s previous M cars, so that he could refine the i30 N as he saw fit. This is a happy day indeed. This is what can happen when automakers actually try.